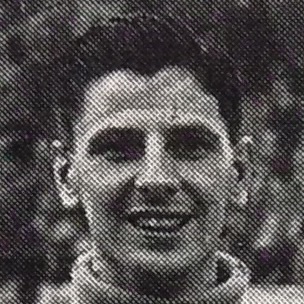 Fred was with Renfrew Juniors when played his first match for United as a trialist. He then signed and retained the keeper’s jersey for the next nine games, but thereafter played more often in the reserve side than in the first team. Fred became surplus to requirements and was released in May 1949. All the fun of the fair at Tannadice. Fast football, goals a-plenty, thrills and spills. Celtic's Colonel Shaughnessy saw the second half. If he was looking for winger, he saw four sparklers. Lang had a hat-trick and Cruickshank was a wee terror. McEwan was first-half star, beating his man and crossing accurately. But the king-pin was the precise, ever-cool Quinn, of United. There was a lot of tasty manoeuvring in the game, especially on the Arbroath left and the Dundee right. But when the heat was on there was no time for pretty stuff. Veteran Duncan Ogilvie hadn't the hard job tackled by M'Kcnzie, who found M'Kay as full of spark as an electric cable. Hill was the Lichtie's chief schemer. Grant took the eye in the half-backs. It was ding-dong all the way. Maybe Waggie Ross was a bit too impetuous at times. Once he had his name taken. Once he ended up in the back of the rigging. Fitting climax was Arbroath's equaliser in the last five seconds. A good result.